As US-China trade disputes continue to intensify, the unpredictability (led by Trump’s administration) is worrisome and shadowing the outlook on the relations between the two biggest economic powers. China is responding to this challenge by reassuring its commitment to economic reform and further opening-up. One major event demonstrating the openness is the 1st China International Import Exposition (CIIE), to be held on November 5-10th 2018 in Shanghai. Its aim is to boost importation and provide platform for new and high-end products to access the Chinese market. Swiss Centers China is honored to be an official partner of CIIE, and to support the Swiss companies’ participation in this event. 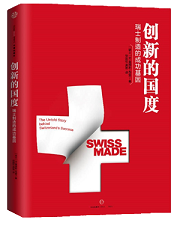 With the growing middle-class and urbanization, Chinese market potential is yet to be exploited by many Swiss companies whose products and services that may have been considered too expensive for China. To support the further development of Swiss businesses in China, Swiss Centers is preparing a new facility in Shanghai Hongqiao CBD, ideally located in proximity to the airport and high-speed train station. We invite you to find out more details in this newsletter, and happy to answer your inquires anytime and support your development in China!